Tokyo-based Nightley develops location-based analytics technologies. 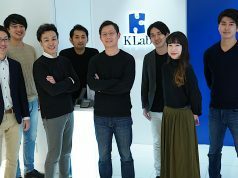 The startup was launched back in 2011 by CEO Yutaka Ishikawa who previously worked with Japanese web service company NetAge . Nightley recently developed social media analytics engine Trexa, and started providing social media analytics to GIS service providers as part of their service Nightley GIS Mesh Data. 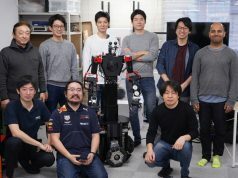 I recently visited the company’s office near Shibuya to hear more from Ishikawa about this initiative. As some of our readers may know, several Japanese system integration companies have partnered with Twitter as a data reseller, obtaining rights to collect data using the Twitter API. 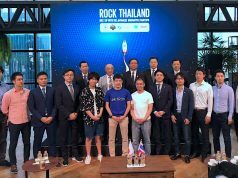 Similarly Japanese big data solution provider Hottolink also partnered with US company Gnip back in October to distributing Gnip’s analytics data in Japan . 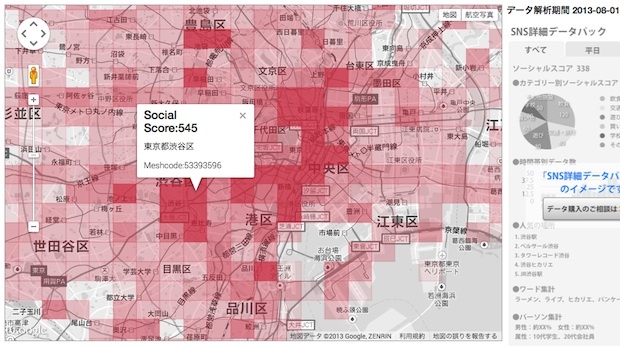 NTT Docomo also recently started selling mobile spatial statistics based on the usage of its mobile subscribers. Conventional players typically give you an accumulation of longitude and latitude values with tweets or posts. These values tell you where users are or were, but they don’t give you insights about which floor or what store in a shopping mall they are in, or what they are doing. Our solution gives you more visibility around such attributes of users, and I believe this is our advantage, helpful in creating more efficient marketing efforts or planning store roll-outs. 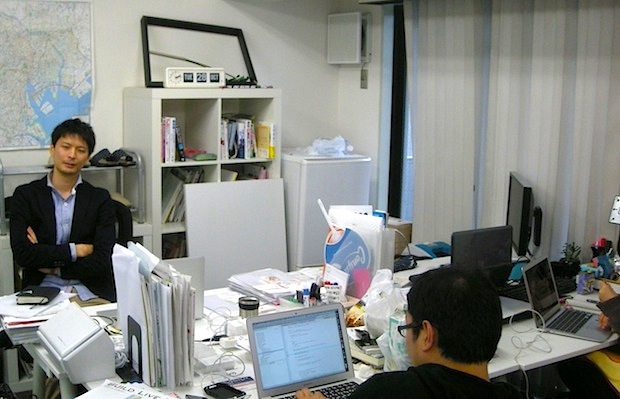 When Ishikawa launched the company a few years ago, he was selling location analytics data a direct sales basis. But he subsequently learned there are business opportunities only among a very niche segment of marketing people in Japan. So he changed their sales strategy to intensify partnering efforts with big GIS players or enterprise system integrators . They already have clients in need of geographical data plentiful with various organic attributes. I thought partnering with them would be much easier. They also have geographical analytics solutions, but it’s not very organic. I realized the complementary potential of working with GIS companies. He expects the solution to be used not only for O2O solutions but also by people and companies working on more accurate area targeting. The company is looking for funding opportunities and more engineers to help develop further growth. If you are interested in being a part of the team, don’t hesitate to contact them via this page.